I know you thought your dream would happen easy. You’ve been pushing hard to take your dreams to the next level. You have been making connections, being consistent, staying committed but some how life is not giving you back the same energy. I’ve been there. I have been in the place where it felt like I was doing everything I needed to be doing to be successful, but yet and still nothing was happening.I have even been to the point where I exhausted all of my resources and I was left with exhausted energy. I’ve Failed But I Didn’t Give Up! Discouragement. Falling down. Not accomplishing what you set out to do. Inconsistency. Lack of motivation. Poor time management. Negative thoughts. Loosing sight of what’s most important. Remaining focused. These are all words that I’ve dealt with first hand. I’m sure you have to. Failure is something most people do not want to admit. Let me be the first to admit, I’ve failed a lot in my 27 years of living. I’ve failed tests, I’ve failed people, I’ve failed in my goals, I’ve failed at keeping my word and I have failed myself. 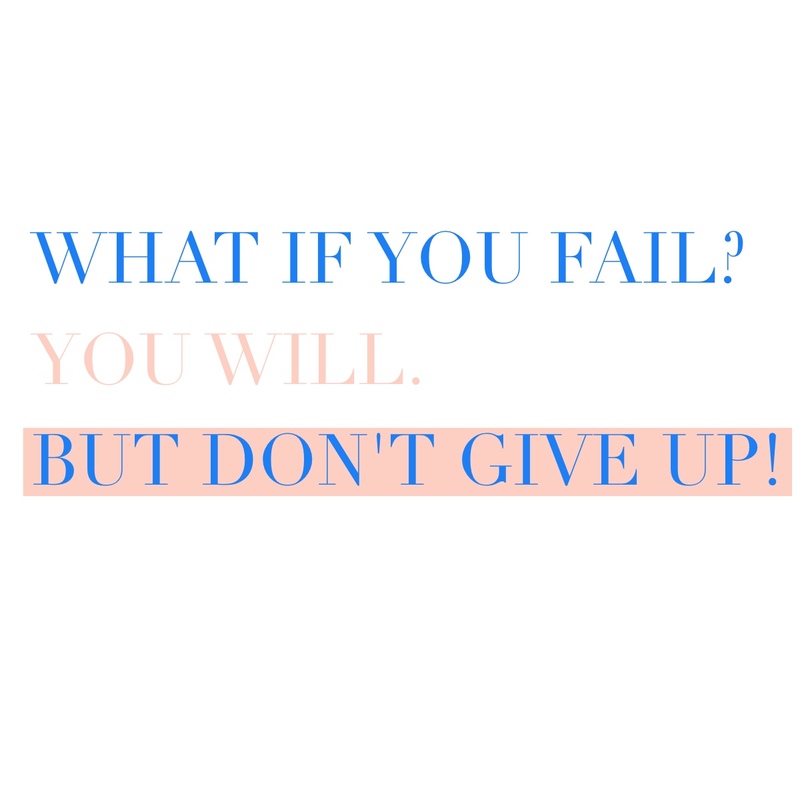 If you’ve never failed at something, how would you learn to not give up? Failure by definition is the lack of success. If we were to measure success, we would find that you and I have our own standard of measurement for success. Meaning, we tend to define success differently. Although success is defined differently in our lives, you and I can identify when we are not successful in something. It is often, I find myself in certain seasons of life not living up to my full potential. (Can you identify with me?) It is in these seasons where mentally, spiritually and physically I am low and in constant battle. I easily identify myself with failure. You are not a failure because you’ve failed at something. Success is not in giving up, but success is in the constant fight to keep pushing forward! When feeling like a failure starts to creep into your mind, you have to remind yourself that you are strong, you are a warrior and you are an overcomer. The human mind is strong and my friend we have to take a stance in life. We will not give into the battle of defeat but we will continue to march forward with the faith and belief that we can conquer what we set out to do. You and I are not failures. We may have failed over and over in life but this does not mean we will continue to fail. On this day, choose to fail forward. Each time in the future when you fail, each time you fall; You are failing and falling to learn how to advance forward in life. As Eric Thomas put it, “Don’t cry to quit, don’t cry to give up but cry to keep pushing.” You and I have what it takes to make it in life. It’s time to activate it!